Deddington OnAir is delighted to be able to showcase artists who have performed locally. We have a vibrant music scene and these artists have played in Deddington in the recent past. Stekpanna are an award-winning Anglo-Scandinavian contemporary jazz trio. Mads, Steve and Petter met at the Musicians Institute in Hollywood, California. They played their first gig in Los Angeles in 1996, winning the Battle of the Bands (the first jazz group ever to do so), and since then have played hundreds of gigs across 26 different countries. 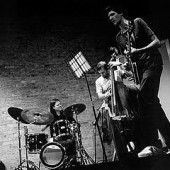 They play ‘unclassifiable European post-jazz’ (The Guardian) characterised by deep groves, driving swing, quirky melodies and a good deal of wit and humour. Repertoire consists of original compositions by all three band members, along with distinctive re-workings of old classic tunes that aren’t usually associated with jazz. Their discography now stands at four trio CDs (Standin’ Tall; Ouch! ; All For a Beautiful Life; and Starlight Barking) plus two collaborative ones (Notes From Underground and Latin From the North). There is plenty more on the way! Music by Leonid Vintskevich, Leonid & Nick Vintskevich, Kip Reed bass, Joel Taylor dr.
Cantaloop's mission is to provide 800% of C-funk with a satisfaction guarantee! This can be delivered to an intimate crowd or to the masses. Cantaloop are fronted by the C-funk messenger Dannie Dee with his trussed C-funk doctors 100C on guitar and Paulo De'Wooton on bass. No band is absolute without the engine and Cantaloop have two F1 Groove machines to choose from The Beef or King Popeye on drums. The Horns of Plenty under the orders of Sugar lips with his 1st mate Ni-co launch their monster horn lines throwing down Phat dollops of Funkelicious Brass. When all these elements combust the Cantaloop Brotherhood always let the people know they are "CHAAAC-LAT." Cantaloop are a true urban Funk outfit. 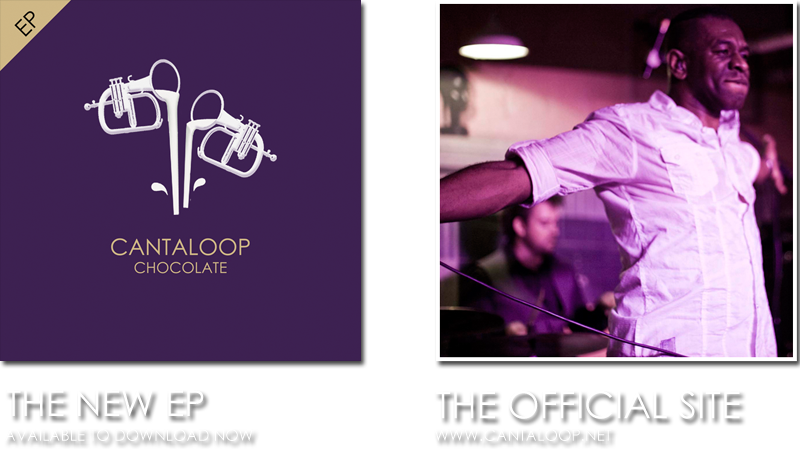 The Chocolate EP is the latest funk-fuelled sweetener from the awesome Cantaloop; often described as "one of the best live bands out there." This EP sees them ever pushing the boundaries in their genre and treating us to their unique 'C-funk' song craft.